Smallest Recommended Hose Diameter O.D. : 0.625 in. Largest Recommended Hose Diameter O.D. : 0.750 in. 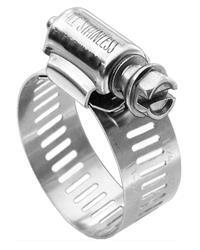 ACDelco standard stainless hose clamps are designed to last. 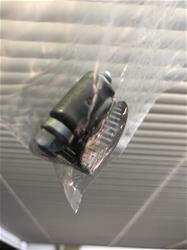 The bands are made of stainless steel, while the screw housings are zinc plated steel. These worm gear style clamps are available in various sizes to accommodate hose diameters ranging from less than 1/4 in. to more than 2 in. You can use them for the perfect grip wherever you need it the most. I've used a lot of these clamps in my project car and they have worked well so far! No complaints.